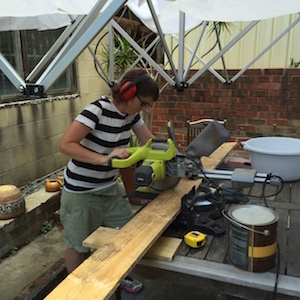 Sarah Newall is undertaking a residency in Outer Space at AirSpace Projects to transform this run-down light-industrial space into a sustainable gardening project. Sarah is relying on recycled materials (and a recycled artwork donated by Francesca Mataraga) as much as possible to develop her idea. This project will continue for as long as it takes and will be a work-in-progress available for viewing and being-in during gallery opening hours. Sarah will be writing about her work so watch this space. If anyone wants to contribute their time and labour it may be worth talking to Sarah to see if there is any way you can make a contribution. • Don’t add too much at once. Feed slowly and gradually build up the quantity. Place the scraps in a different spot each time to evenly distribute the food for the worms. • Eggshells (crushed) will maintain the bedding at a safe pH level. Without them the bedding may become too acidic. A sprinkle of Lime every couple of weeks can also work. • Cover the worm farm with newspaper or a piece of hessian. This will help keep a constant temperature in the worm farm. • Add water to the box whenever it begins to get dry. It should be the consistency of a lightly squeezed sponge – if it is too wet the worms will die. • Be sure to keep your worm farm out of hot sun and heavy rain. 1. Move the contents of the bin to one side. Add fresh bedding and food to the vacant side. The worms will move from the finished compost in search of food. After a few days you should be able to remove the older, worm free compost. 2. 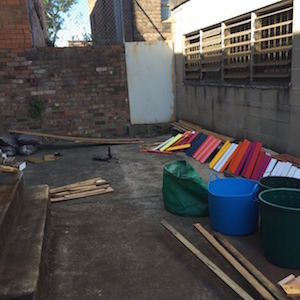 Or dump the contents of the bin onto a large plastic sheet, and separate into small piles. Place a bright light above the sheet. The worms will move down away from the light allowing you to collect the compost. 3. Always mix in some good compost or worm compost in a new bin, if you have it — the bin starts decomposing food waste faster that way. Progress on the sustainable project has been hampered by endless rainfalls. 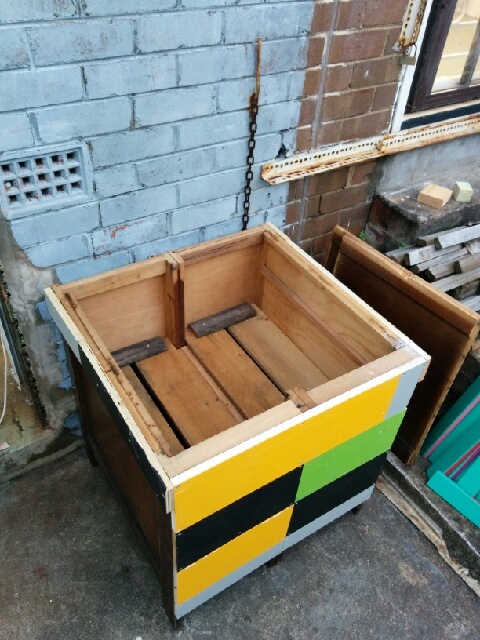 Ciaran Begley donated the old desk utilised in his recent ‘bird of doom’ exhibition at AirSpace Projects to the project and Sarah is currently transforming it into a fabulous worm farm. This was how it looked a few weeks ago.